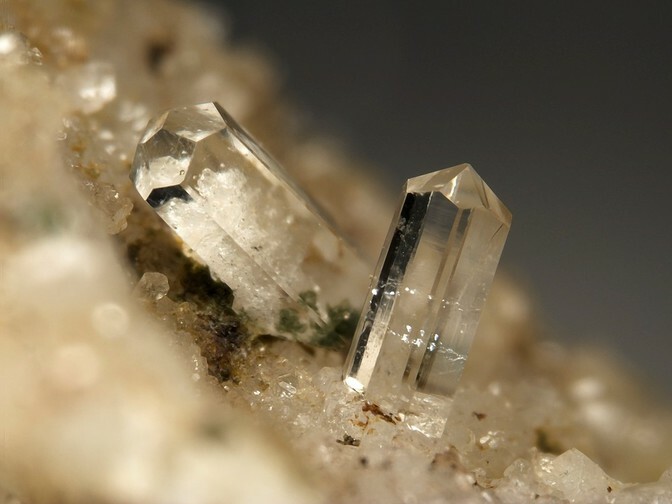 Milarite: Mineral information, data and localities. Named by Kenngott (1870) for the Val Milà, Grischun, Switzerland, where the material of his first description was erroneously said to come from. May be confused with beryl and apatite. Visit gemdat.org for gemological information about Milarite. Unit-cell parameters variable: a = 10.340-10.410, c = 13.758-13.845 Å.
Albite 21 photos of Milarite associated with Albite on mindat.org. Valencianite 13 photos of Milarite associated with Valencianite on mindat.org. Adularia 12 photos of Milarite associated with Adularia on mindat.org. Quartz 12 photos of Milarite associated with Quartz on mindat.org. Smoky Quartz 9 photos of Milarite associated with Smoky Quartz on mindat.org. Laumontite 6 photos of Milarite associated with Laumontite on mindat.org. Calcite 5 photos of Milarite associated with Calcite on mindat.org. Fluorite 5 photos of Milarite associated with Fluorite on mindat.org. Chlorite Group 4 photos of Milarite associated with Chlorite Group on mindat.org. Childrenite 4 photos of Milarite associated with Childrenite on mindat.org. Kenngott, A. (1870) Mittheilungen an Professor G. Leonhard. Neues Jahrbuch für Mineralogie, Geologie und Paläontologie: 1870: 80-81. Goßner, B., Mußgnug, F. (1930) Über Alstonit und Milarit. Centralblatt für Mineralogie, Geologie und Paläontologie: 1930: 220-238. Palache, C. (1931) On the presence of beryllium in milarite. American Mineralogist: 16: 469-470. Černý, P., Hawthorne, F.C., Jarosewich, E. (1980) Crystal chemistry of milarite. The Canadian Mineralogist: 18: 52. Janeczek, J. (1986) Chemistry, Optics, and Crystal Growth of Milarite from Strzegom, Poland. Mineralogical Magazine: 50: 271-277. 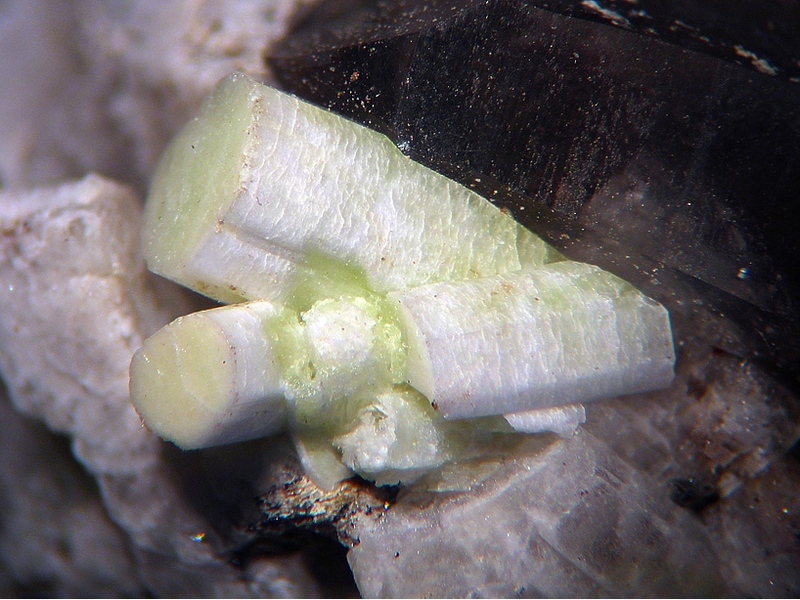 Armbruster, T., Bermanec, V., Wenger, M., Oberhansli, R. (1989) Crystal chemistry of double-ring silicates: Structure of natural and dehydrated milarite at 100 K. European Journal of Mineralogy: 1: 353-362. Hawthorne, F.C., Kimata, M., Cerny, P., Ball, N., Rossman, G.R, Grice, J.D. (1991) The crystal chemistry of the milarite-group minerals. American Mineralogist: 76: 1836. Nysten, P. (1996) Paragenetic setting and crystal chemistry of milarites from Proterozoic granitic pegmatites in Sweden. Neues Jahrbuch für Mineralogie, Monatshefte: 1996: 564-576. The following Milarite specimens are currently listed for sale on minfind.com. Morris, C., Spandler, C. (2014) The Petrology, Geochemistry and Ore Genesis of the Alkaline REE Toongi Deposit, Dubbo NSW. in Geological Society of Australia, 2014 Australian Earth Sciences Convention (AESC), Sustainable Australia. Abstract No 110 of the 22nd Australian Geological Convention. Spandler, C., Morris, C. (2016) Geology and genesis of the Toongi rare metal (Zr, Hf, Nb, Ta, Y and REE) deposit, NSW, Australia, and implications for rare metal mineralization in peralkaline igneous rocks. Contributions to Mineralogy and Petrology 171:104 (24 pages). ⓘ Kara No. 1 Pit ? R Bottrill, 2017, unpub. rep.
R. Exel: Die Mineralien und Erzlagerstätten Österreichs (1993); KOLLER, F. & G. NIEDERMAYR (1978): Die Mineralvorkommen der Diorite des nördlichen Waldviertels. – Annal. Naturhist. Mus. Wien, 82: 193-208. R. Exel: Die Mineralien und Erzlagerstätten Österreichs (1993); Huber, S. & Huber, P. (1977): Mineral-Fundstellen Band 8: Oberösterreich, Niederösterreich und Burgenland. C. Weise Verlag, München, 270 pp. ; KOLLER, F. & G. NIEDERMAYR (1978): Die Mineralvorkommen der Diorite des nördlichen Waldviertels. – Annal. Naturhist. Mus. Wien, 82: 193-208. Niedermayr, M. (1993): 915. Bertrandit und Milarit vom Schafkogel im Hollersbachtal, Salzburg. P. 277 in NIEDERMAYR, G., F. BRANDSTÄTTER, B. MOSER, W. H. PAAR, W. POSTL, J. TAUCHER & H.-P. BOJAR (1993): Neue Mineralfunde aus Österreich XIIL. Carinthia II, 183./103. : 265-290.
ⓘ Lohning quarry (Lohninger quarry) ? Kontrus, K. & Niedermayr, G. (1969): Neue Mineralfunde aus Österreich, 1962—1968. Tscherm. Mineral. Petrograph. Mitt., 3. Folge, 73, 355-359. Miller (1996), Canadian Mineralogist: 34:349-371; Salvi & Williams-Jones (1995); Am.Min. : 80:1031-1040; Miller (1990), Newfoundland Dept. of Mines & Energy Geol. Sur. Report 90-1: 171-182.; A. Kerr and H. Rafuse (2012) Rare-earth element (REE) geochemistry of the Strange Lake deposits: Implications for resource estimation and metallogenic models. Newfoundland and Labrador Department of Natural Resources Current Research 2012 pp39-60; BIRKETT, T.C., MILLER, R.R., ROBERTS, A.C., & MARIANO, A.N. (1992) Zirconium bearing minerals from the Strange Lake intrusive complex, Quebec Labrador. Canadian Mineralogist, 30, 191-205. Kadlec T.: Nové minerály ve Vlastějovicích. Minerál, 2010, 18, 3, 216-220. Černý P.: Příspěvek k mineralogii některých západomoravských pegmatitů. Časopis pro mineralogii a geologii, 1967, 12, 4, 461-464. Černý P., Veselovský F.: Výskyt částečně desilikovaných pegmatitů pronikajících serpentinitem v obci Tři Studně. Minerál, 2013, roč. 21, č. 4, s. 299-304. Min Rec 35:5 pp405-418; Mineralogical Magazine 1963 33 : 450-457; Cerny, P., Novak, M., Chapman, R., & Masau, M. (2000). Subsolidus behavior of niobian rutile from Vezna, Czech Republic: A model for exsolutions in phases with Fe2+>> Fe3+. Journal of GEOsciences, 45(1-2), 21-35.; Cerny, P., Hawthorne, F. C., Laflamme, J. H. G., & Hinthorne, J. (1979). Stibiobetafite, a new member of the pyrochlore group from Vezna, Czechoslovakia. Canadian Mineralogist, 17, 583-588. Boscardin, M., and Mattioli, V. (1982) Neufunde aus Italien. Calzirtit, Milarit und Compreignacit aus den italienischen Zentralalpen. Lapis, 10, 15-16. 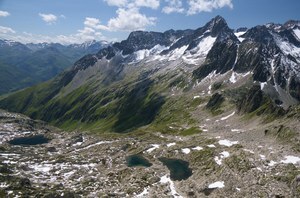 Bedognè, F. (1991) I minerali dei differenziati acidi di Tanno (Val Chiavenna). Il Naturalista Valtellinese - Atti Mus. civ. Stor. nat. Morbegno, 2, 35-45.; Guastoni, A., Pozzi, G., Secco, L., Schiazza, M., Pennacchioni, G., Fioretti, A. M., & Nestola, F. (2016). Monazite-(Ce) and Xenotime-(Y) From An Lct, NYF Tertiary Pegmatite Field: Evidence From A Regional Study In the Central Alps (Italy and Switzerland). The Canadian Mineralogist, 54(4), 863-877. Preite, D., Mattioli, V., Cini, V., Besana, G. (1997): Die mineralien von Beura und Villadossola (NO), Oberitalien. Lapis, 5/1997, 13-26. Appiani, R., Cini, V., Gentile, P., Mattioli, V., Preite, D., Vignola, P. (1995): Val Vigezzo - I minerali delle albititi. Ed. Linea Due S.r.l., Marnate (Varese), 90 pp. ; Guastoni, A., Diella, V., Pezzotta, F., Demartin, F. (2007): Vigezzite and associated Nb-Ta oxides of emerald pegmatitic deposits of Vigezzo Valley (Western Alps, Italy). Crystallization Processes in Granitic Pegmatites - International Meeting. Cavoli, Elba Island, Italy, 23rd-29th May 2005. Abstracts; http://www.minsocam.org/msa/Special/Pig/PIG_Articles/Elba%20Abstracts%2010%20Guastoni.pdf; Piccoli, G.C., Maletto, G., Bosio, P., Lombardo, B. (2007): Minerali del Piemonte e della Valle d'Aosta. Associazione Amici del Museo "F. Eusebio" di Alba, Ed., Alba, 607 pp. ; Boscardin, M., Mattioli, V., Rocchetti, I. (2013): Minerali della Valle Vigezzo. Litotipografia Alcione, Lavis (Trento), 229 pp. Kikui et al (1996) Chigaku Kenkyu, 44, 267-270. Kawabe & Fujiwara (2002) Chigaku Kenkyu, 50, 215-217. Rakovan, J., Ono, M. and Francis, C. (2009). Tanakamiyama: A Classic Japanese Pegmatite District. Rocks & Minerals 84:520-527. N. MALYUKOVA , (2014). Zoning of Polymetallic Rare-earth and Rare-metal Deposits in the Ak-Tyuz Ore Field (Northern Tien Shan, Kyrgyzstan). Acta Geologica Sinica (English Edition), 88(supp. 2): 451-453. Kovalenko, V. I., Yarmolyuk, V. V., Sal nikova, E. B., Kartashov, P. M., Kovach, V. P., Kozakov, I. K., ... & Yakovleva, S. Z. (2004). The Khaldzan-Buregtei Massif of peralkaline rare-metal igneous rocks: structure, geochronology, and geodynamic setting in the Caledonides of Western Mongolia. Petrology c/c of Petrologiia, 12(5), 412-436. Bjørlykke, H. (1960): Årsberetning for 1959. Norges Geologiske Undersøkelse 211, Årbok 1959, p. 249; L. O. Kvamsdal (1998): Mineralene fra Nordmarkitt og Grefsensyenitt i Oslofeltet. AS Merkur-Trykk, Oslo. Eldjarn, K. (1978): Mineraler i Norge-Fenakitt. NAGS-nytt 5 (3), 19-20. Nysten, P. (1996): Paragenetic setting and crystal chemistry of milarites from proterozoic granitic pegmatites in Sweden. Neues Jahrbudch für Mineralogie. 12: 564-576; Nysten, P. (1996): Paragenetic setting and crystal chemistry of milarites from Proterozoic granitic pegmatites in Sweden. Neues Jahrbuch für Mineralogie, Monatshefte 1996, 564-576. Minerl. Rec. 35:5, 405-418 ; Nysten, P. (1996): Paragenetic setting and crystal chemistry of milarites from Proterozoic granitic pegmatites in Sweden. Neues Jahrbuch für Mineralogie, Monatshefte 1996, 564-576. Stalder, H. A., Wagner, A., Graeser, S. and Stuker, P. (1998): "Mineralienlexikon der Schweiz", Wepf (Basel), p. 275. Schweizer Strahler, 1996, Nr. 12, 485-495, Schweizer Strahler, 2007, Nr. 02, 26-32. Martin Slama Coll., ex Beni Werner Coll. Moore, T.P (2004) Alpine milarite. 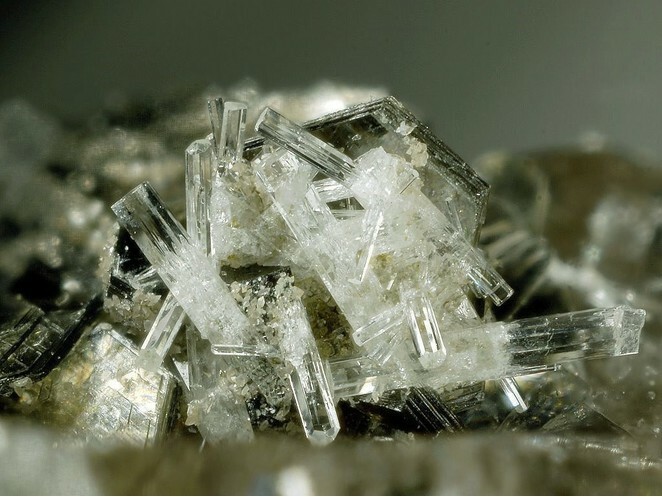 Mineralogical Record 35(5), 405-418.; Roth, P. (2006) The early history of tremolite. Axis: 2(3): 1-10. (referring to Moore). Jahn, S. (2008): Der Druntobel bei Sedrun - ein weltbekannter Fundort. Mienralien-Welt, 19 (3), 42-67. Stalder, H.A., de Quervain, F., Niggli, E., and Graeser, S. (1973) Die Mineralfunde der Schweiz, p. 127.; Kipfer, A. (1974) Ein neues Hobby: Kleinmineralien sammeln und präparieren. Franckh'sche Verlagshandlung, W. Keller & Co., Stuttgart, 64 pp. Janules, Bob (2005). The Oliver Trench on Middle Moat Mountain, Hales Location, NH (Micromounters of New England Newsletter no. 263, April 2005).